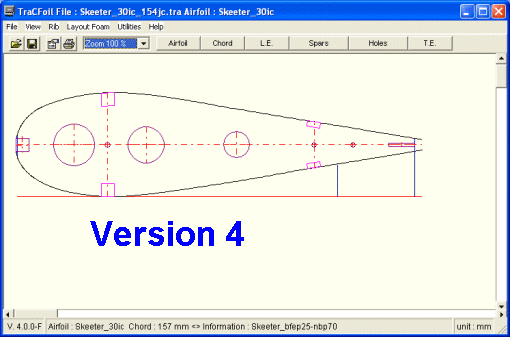 TraCFoil use the DAT Files from UIUC Airfoil Coordinate Database and the files from my WEB page airfoils all are into the Free Pack Airfoils. add spars, holes, L.E., T.E. You can also draw template for foam cutting with station lines and washout.